Peach Fruit and Peach Recipes! Peach fruit taste sweet and juicy. It is round in shape and about the size of an apple. 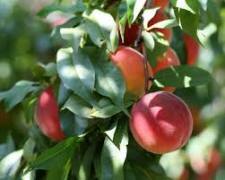 Peaches have a fuzzy exterior and a seed inside that can be used to grow peach trees. Peaches are packed with vitamins, minerals and antioxidants. They are a high fiber food. They are less than seventy calories and help to control hunger urges. This are nice for those who want to lose weight. Peach season is June to the end of August. China is the largest producer of peach trees. Italy is close behind. In the USA, Georgia is known as the Peach State. 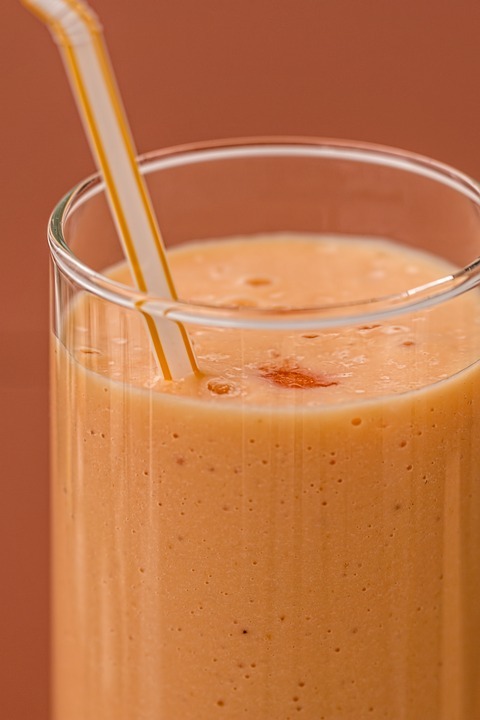 Incorporate peaches into your daily meals. Eat them alone, slice over cereal or oatmeal, mix in smoothies, add to desserts or salads. Use them in many ways. Look for organic peaches at your local grocery store or farmers market with vibrant color, no bruises and a little give when gently squeezed. It’s best to eat peaches raw. Cooked peaches can lose up to 80% of their nutrients. 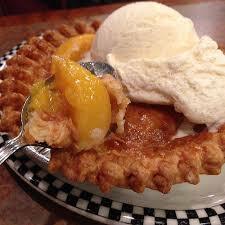 Still, there are lots of delicious peach recipes with grilled, boiled or otherwise cooked peaches. Not only are peaches for consumption but their fragrance or natural extract is used in many commercial and homemade skin care products including: soaps, creams, lotions, shampoos and other products. ANTI-AGING: High in antioxidants. Attack free radicals. Reduce wrinkles. Reduce sun damage. Improve overall complexion. PROTECTION: Protect skin from ultra violet rays. Eliminate dark under eye circles and spots. High in Vitamins A, C, K, Beta-Carotene, Magnesium, Potassium and Selenium. REPAIR: Repair skin tissue. Tissue regeneration. Heal skin quickly. Avoid skin infections. High in proteins. OVERALL COMPLEXION: Tighten skin. Reveal natural glow. Hydrate. Improve texture. High in nutrients. Find more homemade skin care tips, solutions and recipes! EYE HEALTH: High in Beta-Carotene (converted to vitamin A in body). Prevent night blindness and age-related macular degeneration. Nourish. Concentration of cholorogenic acid in peach skin. DETOXIFY: Cleanse toxins from colon, kidneys, stomach, intestines, liver. HIGH FIBER FOOD: Prevent constipation, irregular bowel movements, stomach ulcers, gastritis. REDUCE STRESS and ANXIETY: Magnesium aids in keeping nervous system calm. BOOST IMMUNE SYSTEM: Ascorbic acid and zinc. Fight infections, common cold, pneumonia. EAT ANTIOXIDANT FRUITS: apples, apricots, bilberries, blueberries, grapefruit, kiwi, lemons, mango, nectarines, oranges, papaya, peaches, pears, pineapple, plums, pomegranate, prunes, raspberries, red grapes, strawberries, tangerines and many more!